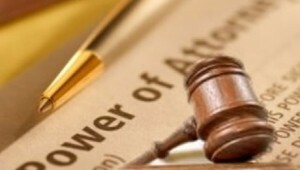 In order to obtain power of attorney you must have the Principle decide the amount of power they wish to give. There are different types of power that falls into broad categories of Financial and Healthcare. For each of these powers to be granted, separate documents must be created. 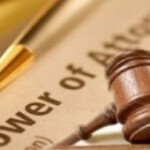 The General and Limited Power of Attorney Act of 2010 governs in Maryland. A statutory compliant document must be completed to legally give these powers. The form must include the names of the Principle and the agent, specific powers which are granted, and can also include any limitations the Principle wishes to create. For the documents to be valid, the signature of the principle must be acknowledged by a notary public along with being witnessed by two adults. For a free, confidential conversation to discuss estate planning, including how to obtain a Power of Attorney, contact Maryland estate attorney Stephen J. Reichert at 410-299-4959, sreichert@reichertlegal.com or by clicking here. Day, evening and weekend appointments are available in office or at your residence. Mr. Reichert personally serves estate planning clients throughout the entire state of Maryland. Stephen looks forward to assisting you with your Maryland estate planning needs.